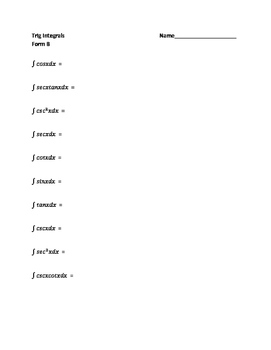 This is a basic worksheet on which Calculus students can practice their memory work of ten trig integrals. 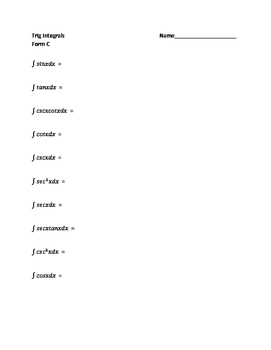 It can also be used as test prep or as a quiz over the integrals. 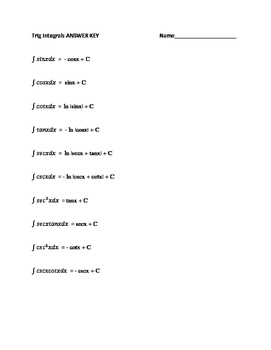 Included with the worksheet are two more forms where the integrals have been scrambled. 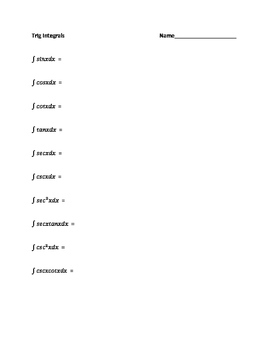 This allows for giving different versions of a quiz, or simply giving students opportunities to practice the integrals in a different order.